Meredith Owen Interiors knows the importance of home and is dedicated to creating homes that reflect the unique families that live in them. We are a client focused full service interior design firm. We strive to design spaces to be lived in and function effortlessly with your everyday life. Meredith Owen Interiors is a firm that is dedicated to working closely with our client's to help their dream homes come to life. We are inspired by our client's enthusiasm and love to bring great energy to all of our projects. We work with some of the most prestigious architects and builders in and around the Austin area to create a truly customized experience for each of our client's. Our design team has a combined design experience of over 22 years. We would love to chat with you about your unique project, drop us a line and let us know how we can help turn your dream into your dream home. 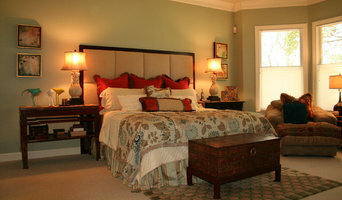 Dawn Hearn Interior Design is a full-service interior design firm serving Austin, Texas and surrounding areas. We strive to listen to our clients' needs and preferences, working with them to create beautiful, functional spaces that reflect their lifestyles and personalities. Whatever your design needs may be, from remodeling a single room to new construction, Dawn will provide you with expert advice and the full resources of a professional interior designer. Dawn is a registered interior designer in the state of Texas, a professional member of NARI, a professional member of ASID, and is CAPS certified. Attentive | Methodical | Individualized Design An Austin, Texas-based interior design firm specializing in new construction and renovations. Formerly Refined Interiors, LLC, we’re still the dedicated team of professionals who create exceptionally crafted spaces that are both beautiful and livable. With a fresh look and a new name, we’ve structured our services around our clients’ needs to simplify the design process in the interest of providing the support of a large firm while maintaining the intimacy and attention of a boutique agency. Visit our website to learn more about how we can help you create your ideal space! Urbane Design is a full service, award winning interior design firm offering distinctive design solutions for new home construction, remodels, makeovers and light commercial. 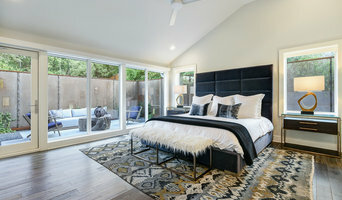 As an established firm servicing Austin, Texas and surrounding areas, our solid reputation was built one project at a time by carefully listening to clients’ needs, working within their budget and creating a breathtaking home that reflects their lifestyle. We work with you to design a look catered to your unique needs and wants, as well as enhance the overall function and impact of a space. From concept to completion, we are design innovators offering project management, full project coordination and quality assurance. We focus on the project specifics, making the design process fun and stress free. Whether your budget is modest or lavish, we specialize in designing and personalizing the space of your dreams, within your timeframe, and to suit your specific lifestyle needs. We serve NEW ORLEANS, ,neighboring cities, Austin and beyond with residential and commercial projects from new builds to renovations, to decorating, furniture planning & styling. From consultations to space planning, design boards to renovations and full design, I focus on your complete vision. Add refreshing to classy, a dash of “oomph” to sophisticated and you’ve got a recipe for my style aesthetic. My design style is never sterile and a hundred percent unpretentious & approachable, well-edited, cohesive & functional. I love a room of storytellers. Pieces that act as little mementos, curiosities and artifacts all throughout the house that reminds us of amazing experiences, people & great finds! I focus mainly on mid to high-end residential design although open to small, commercial projects. I also offer E-design for clients located in other states or internationally. Looking forward to hearing from you. Contact me at maureen@maureenstevens.com. From conception to the last breathtaking detail, we strive to create a captivating, inviting and distinctive home for every one of our clients. We pride ourselves in achieving unique, show-stopping designs along with the functionality needed in a family home. You won't find a "brand" look at April Interiors, we love the challenge of working with every style and personality. We not only want to carry out our vision for your space, but yours as well! Cravotta Interiors designs homes people love being in and escaping to, homes that embrace a sense of history and a sense of adventure, homes that become part of their biography and tell the world who they are. Taken all together that sense of belonging can be translated into a place called home. That’s what we believe. It’s also what we do. Here’s how we do it. We don’t just collect pieces, we compose spaces for living. We curate every piece and every aspect of your home…from your front door, to your art collection, and all points in between. We create a living experience that’s as beautiful as it is functional. A Cravotta Interior lets life unfold in livable luxury, among surroundings that express the highest ideal of who you are. We create one-of-a-kind homes – whether you’re furnishing a space, renovating a house or building an entirely new one. 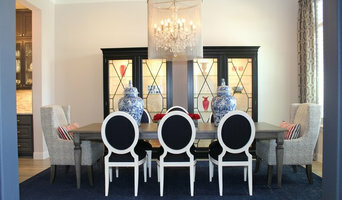 Sarah Stacey Interior Design is your advocate, advisor, creator and manager in one. We’ll translate your ideas to reality and work collaboratively with you from beginning to end – inspiration to install. Our work can be found in: Architectural Digest and Elle Décor (as part of Loloi’s Rugs for the Original Ad Campaign), a March 2017 feature in This Old House Magazine, in the 2016 season of the popular House Hunters Renovations on HGTV, and in Liebe pro m², a German interiors coffee table book. You can also regularly find our work in: HGTV.com, BobVila.com, Houzz, Austin HOME, Rue, Casa VOUGE Brasil, Design Milk, Apartment Therapy, Consumer Reports, Parent’s Magazine, Austin American Statesman, TRIBEZA, Design Milk, Austin Way Magazine, Citygram Magazine, and Austin’s news channel YNN. Bra fråga, inredningsarkitektur kan vara svårt att definiera. Men i korta drag är det en gren av arkitektur, men med fokus på vad som finns inuti huset och inuti rummen. Inredningsarkitektens uppgift är helt enkelt att utveckla en fungerande och estetiskt tilltalande miljö i rummen. Med hänsyn till allt från färg, ljus, och texturer till inredning, möbler, dörrar och fönster. Inredningsarkitektur är helt enkelt mer än bara dekoration. En inredningsarkitekt i Elgin kan hjälpa till med inredning både för företag och privatpersoner. Dessutom har en inredningsarkitekt näst intill uteslutande en lång utbildning i bagaget, som lett dem fram till att de kan få stoltsera med just denna titel. Inredningsarkitekt är nämligen inget som alla kan kalla sig för. Ska du exempelvis bygga nytt är det inte ovanligt att en arkitekt ritar själva grunden till huset medan en inredningsarkitekt hjälper till att rita insidan och interiören. En inredningsstylist är helt enkelt som en modestylist fast för interiördesign istället för mode. De skapar inredningskreationer med störst hänsyn till det estetiska. Exempel på uppdrag kan vara homestyling och homestaging för inredningsmagasin och flyttstyling åt mäklare. Det handlar med andra ord inte så mycket om vilken typ av kök man ska ha, utan snarare vilken typ av växt som ska stå på köksbänken. Hänger du med? Så om en inredningsarkitekt i Elgin, TX kan hjälpa dig med om du ska ha en köksö eller öppna köksskåp (samt var de i så fall ska placeras, hur stora de kan vara etc), så är det stylisten som kan hjälpa till med vad du senare ska placera på din köksö. Förutom inredningsstylist så kallas detta yrke ofta också kort och gott för inredare, men de båda fyller oftast samma funktion, nämligen att inreda och dekorera hem och rum! Med detta så hoppas vi på att du har fått en lite större förståelse när det kommer till att inreda och piffa till ditt hem, oavsett om du låter en heminredare inreda ditt vardagsrum eller ger en inredningsarkitekt i uppdrag att se över hur du ska inreda ditt kök. Eller varför inte både och? Lycka till med att hitta inredningshjälp i Elgin, TX!